Singers, Djs and Media presenters are jumping on the movement bus as they strategize to use the coming months of elections to earn than they have never earned. 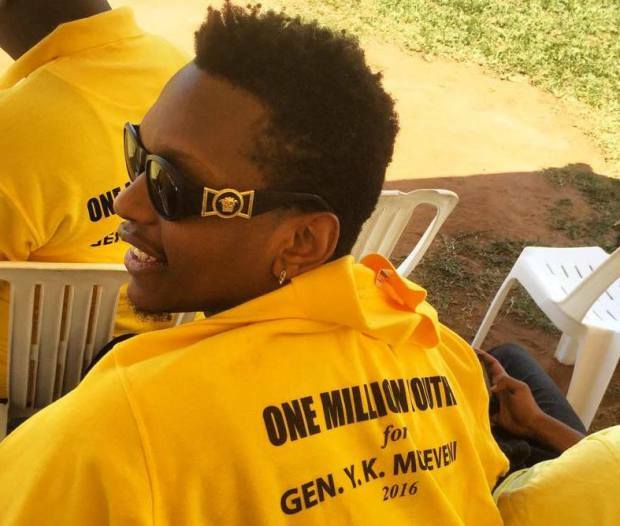 Roger Mugisha, Radio and Allan Tonix were among the celebrities who flocked the meeting that is said it’s soon minting million of cash in campaigns for the ruling NRM party. The project is already generating a lot of heat especially on social media. We hear a number of upcoming artists are spending nights in studios manufactures the best campaign songs, while others are using their social media platforms to allure more support in a campaign dubbed. One million youths behind incumbent President Yoweri Museveni. 3D MOVIE: SAN ANDREAS Premiers this Weekend in 3D at CINEMAX Makerere HAM Towers Shopping Mall. SHOWTIMES : 4:30pm, 7:30pm & 9:30pm. Tickets on sale already.